The master bath is one of the home’s most intimate and private spaces, where people spend the first and last moments of their days. 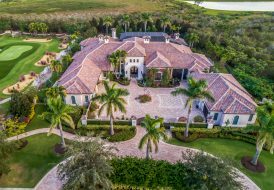 In the last few decades, however, it has evolved from an exclusively utilitarian space to an intensely personal space built for the affluent homeowner’s comfort, convenience and style. The evidence of this evolution plays out in the spa bath trend, as high-end homeowners seek to create luxe bath spaces that can be both “Zen” and stimulating, depending on the time of day or their mood. In recent years, a push towards “the Internet of Things” has made the spa bath fantasy even more accessible. Eric Cohler Design Firm, Courtesy of Kohler Co. 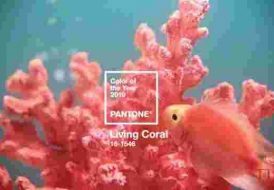 Here are some of the most significant smart bath trends and latest products tantalizing the senses this year. Thermostatic, programmable shower technologies like the U by Moen allow you to digitally control water quantity, water temperature, water pressure and even the type of spray—from a steady stream to pulsating jets. 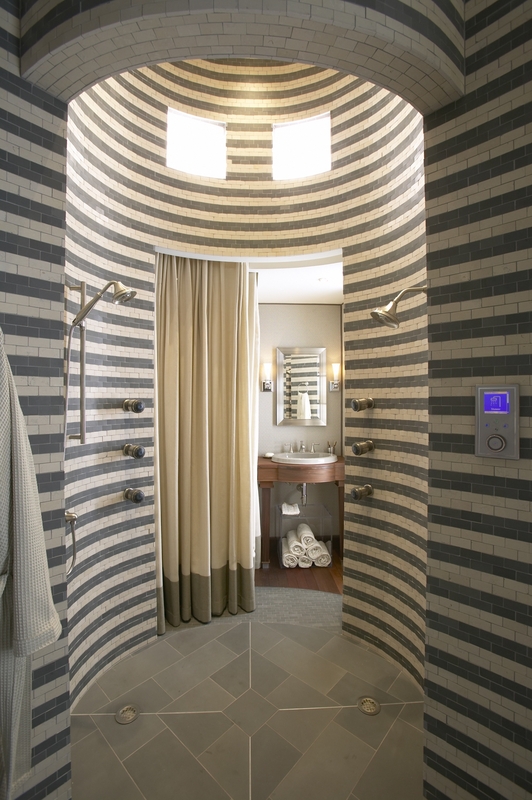 Each person in the house can customize their preferred shower setting before ever stepping in. With just a few taps on their smartphone, they can start their day with their idea of the perfect “wake-up” shower and finish their day with the “wind-down” settings. Steam showers with computerized controls are another area of digitalization for the bath. 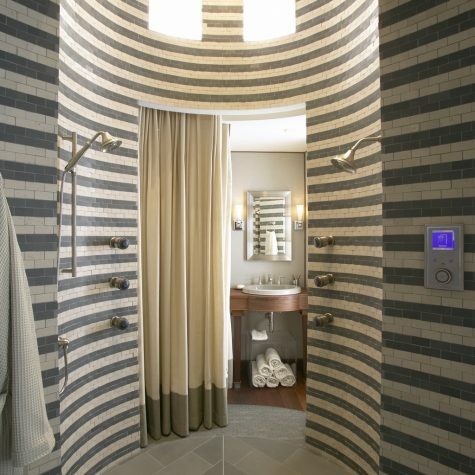 ThermaSol, a steam shower manufacturer, has taken the automated shower a step further with its serenity light, sound and rainhead systems, which allows the homeowner to create a personal spa-like experience and environment with the creative use of light therapy, sound and falling water. 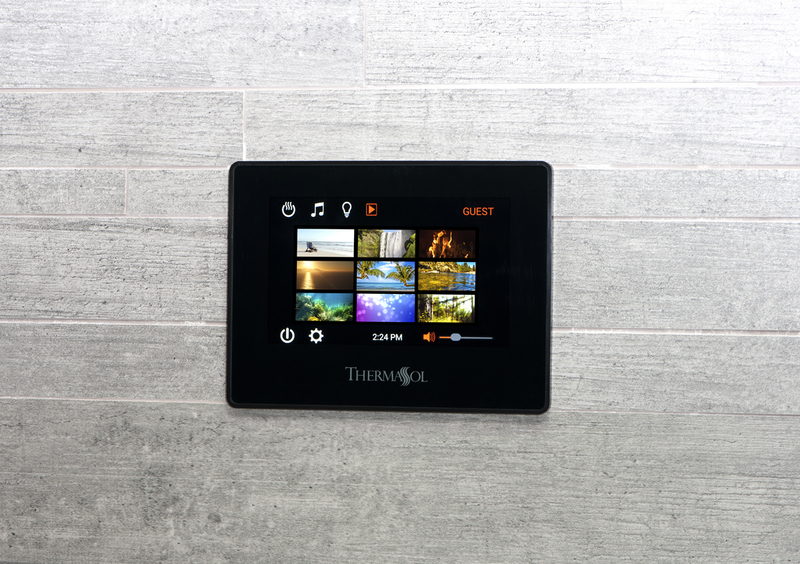 The company also offers a touchscreen controller, giving the homeowner the ability to set the steam duration, temperature setting and individual programmed presets such as natural sounds and tranquil visualization scenes. The Numi, Kohler’s sleek answer to high-tech commodes, is perhaps one of the most popular smart toilets on the market today. Numi is best known for its motion-activated seat cover, which “even says hello by lifting toilet seat when you approach” says Hertzberg. Other features include a foot warmer to keep toes toasty on early mornings and a complete audiovisual experience, allowing users to pair their smart devices via Bluetooth and play out music from their personal collection or any streaming service. 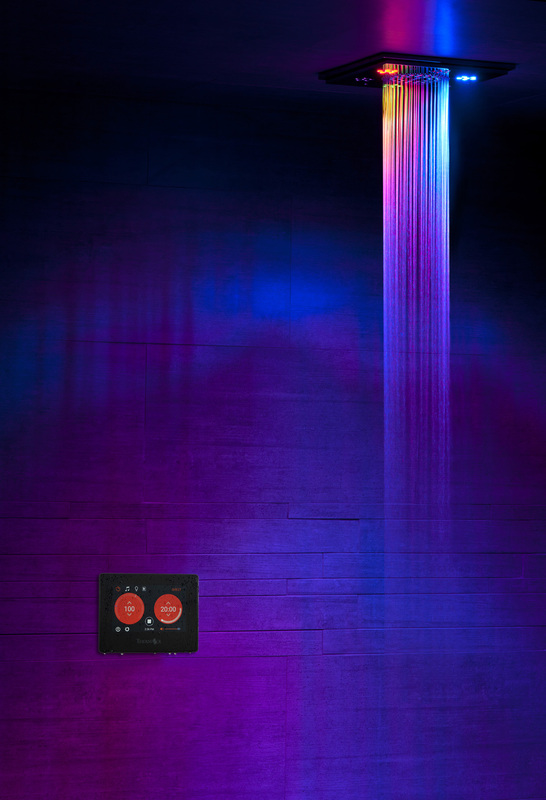 Beyond sound, there’s a visual “wow” factor too: Numi comes equipped with illuminated panels that can be set to cycle through a dynamic range of colors—or scheduled to display certain shades at specific times of day. A multi-user database gives everyone in the household a chance to enjoy their own custom toilet settings—from music and seat warmth to spray pattern and strength. 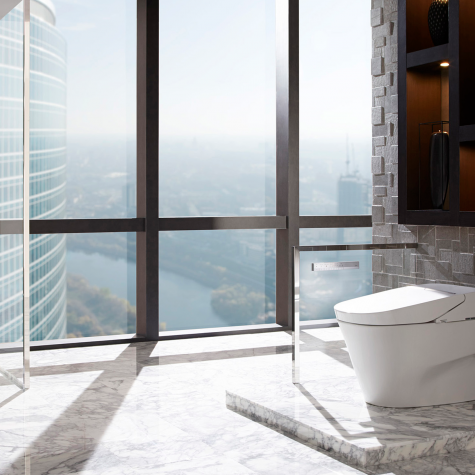 Toto’s Neorest 750H is another sought-after smart toilet. The Neorest 750H features automated lid operation, automated flushing, automatic deodorizing, multiple bidet wash modes—including oscillating and pulsing comfort washing—and an adjustable heated seat. It also self-cleans. Equipped with Actilight technology, a UV light system built into the lid, the Neorest sets to purifying your porcelain immediately post-usage. The Neorest further burnishes its cleaning credentials with a CeFiONtect ceramic glaze, a misting system that employs electrolyzed water and a tornado flush—all ensuring your toilet will feel fresh for every use. And thanks to the Neorest’s remote control, this can all be done virtually hands-free. What homeowner hasn’t wished to watch the morning news or listen to his favorite podcast in the bathroom while getting ready for work ? 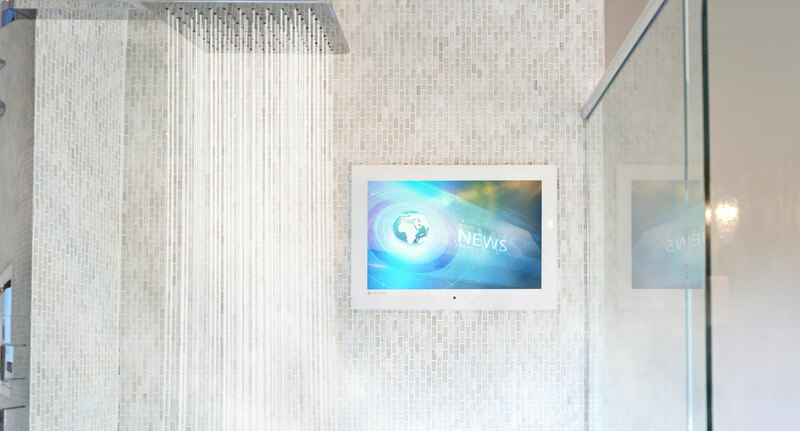 The latest integrated waterproof mirrors allow audiophiles, cinephiles and news buffs to stay connected and remain entertained in their private sanctuary. Take, for instance, the Séura Hydra Indoor Waterproof TV. This beautiful mirror, with its recessed in-wall design and seamless glass face, magically transforms into a TV when switched on. 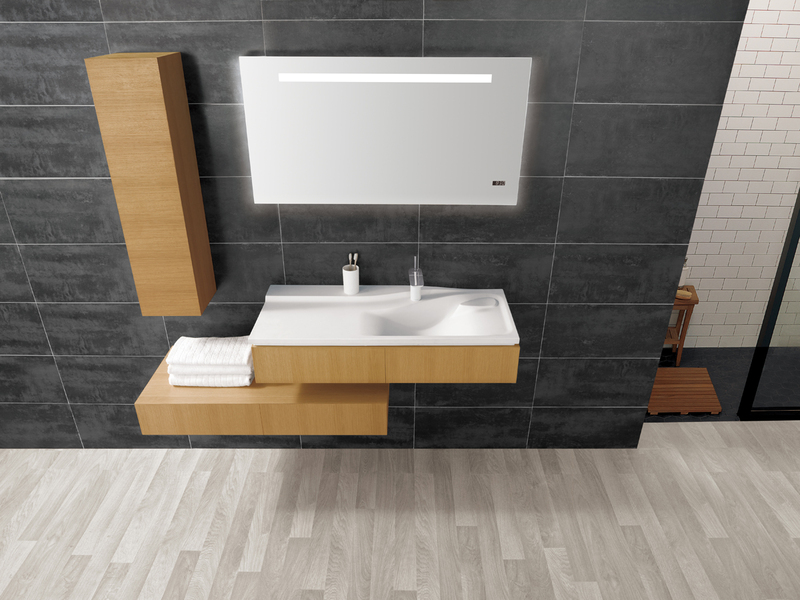 Available in 19-inch or 27-inch versions, Séura also offers a wide range of finishes for greater customization. Plus, the TVs are easy to clean and fog-free. If you only want the simple serenity of sound, Ronbow has the answer: the VENTO LED Mirror and Cabinet — a multipurpose, technologically advanced mirror system. Designed by the internationally reputed Italian design house Pininfarina, the 42-inch mirror cabinet includes integrated Bluetooth technology and speakers, a digital clock display and motion activated LED as well as accent mood lighting on left, right and bottom. Despite advancements in wireless technology and voice command control, there is one element that continues to reign supreme in the luxury smart bath: the gift of warmth. 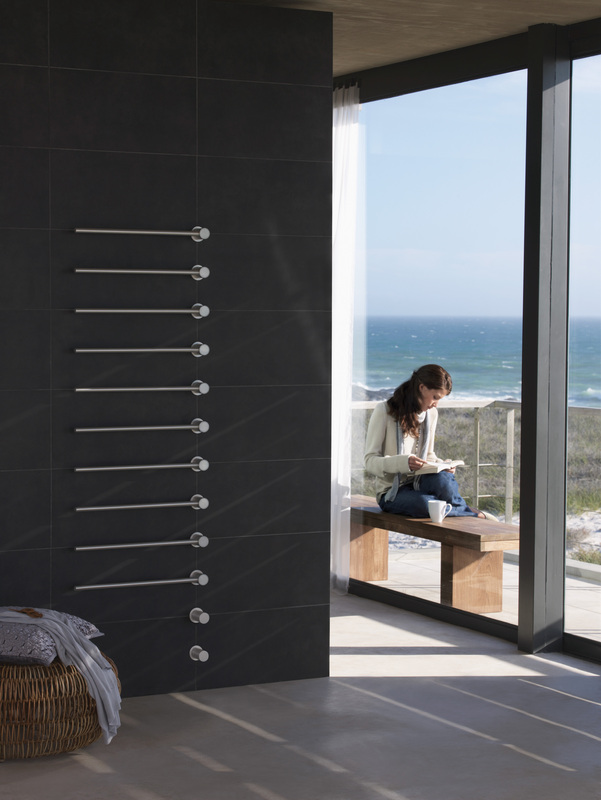 “Towel warmers and radiant heat are features that have become standard,” notes Cohler. 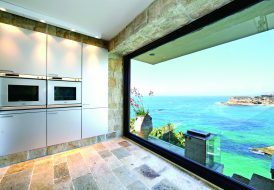 Adds Olson: “Towel warming drawers, steam showers with heated seating or reclining surfaces, as well as dry saunas” are among the most popular tech features her clients ask for when it comes to their master baths. The Riviera towel warmer from WarmlyYours introduces another level of convenience by offering a bundle package with Belkin’s WeMo Wi-Fi Switch, which allows you to use your smartphone or tablet to control the towel warmer from any location. Additionally, the WeMo Wi-Fi Switch integrates with the IFTTT (if this then that) service, which allows users to turn their towel warmers on or off when prompted by another event or activity, such as the sunrise. Pushing the boundaries of design and innovation, VOLA’s electric towel warmer replaces the more common radiator-style warmers with a built-in unit hiding all technical elements behind the wall. Available through Hastings Tile & Bath, the modular system has a self-closing timer which shuts off automatically after two hours at full power and is equipped with temperature regulation from 68° to 120°F. Regardless of what the future holds for the smart bath, one thing is certain: it will never stop evolving.